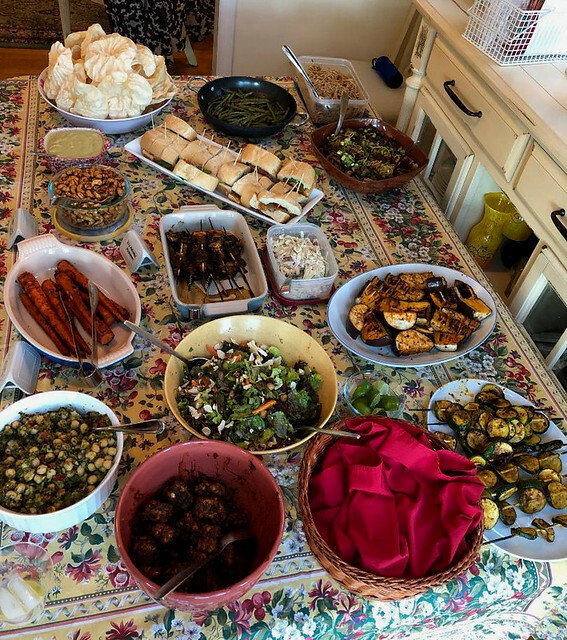 Last weekend I attended my first cookbook book club and it was probably the most delicious vegan/vegetarian meal I’ve ever had. There were 8 participants (only one actually a vegetarian) and everyone brought 1-4 dishes from the book. There was no obligation to make more than one dish, some people were just extra excited about vegetables! If anyone didn’t have the book already, they borrowed it from someone else. We all emailed in advance to make sure there weren’t any duplicate dishes. I regret not taking photos of everything (honestly I was too occupied stuffing my face with sesame noodles, spicy vegetables and chick pea salad), but one of the guests got this picture of the entire spread. 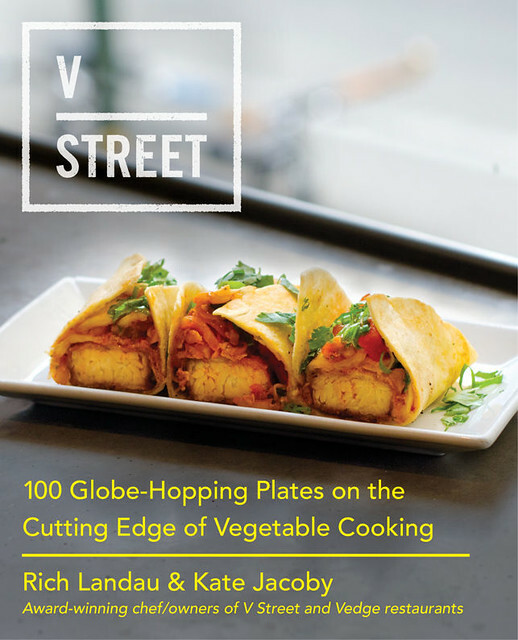 V Street is a keeper. Even if you aren’t a vegetarian, if you love to cook and you love vegetables, you will love this book. Some ingredients were hard to find, so we had to make substitutions. Although some of the recipes seemed complicated at first glance, they ended up not being that difficult. Bring storage containers to the next meeting to take home leftovers. 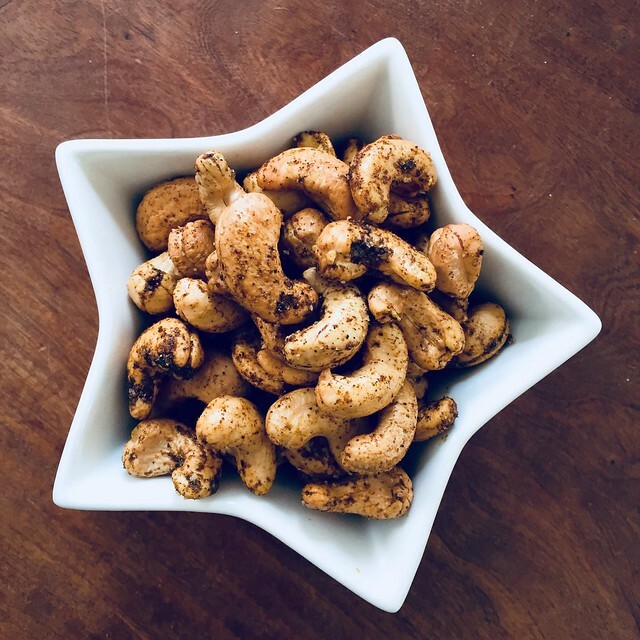 Mix 2 cups unsalted cashews with 1 T sunflower oil (I used olive oil) and 1 T jerk spice (recipe below). Spread in a single layer on a baking sheet and cook at 350 degrees for 4 minutes. Cool and enjoy. Warning: these are addictive. 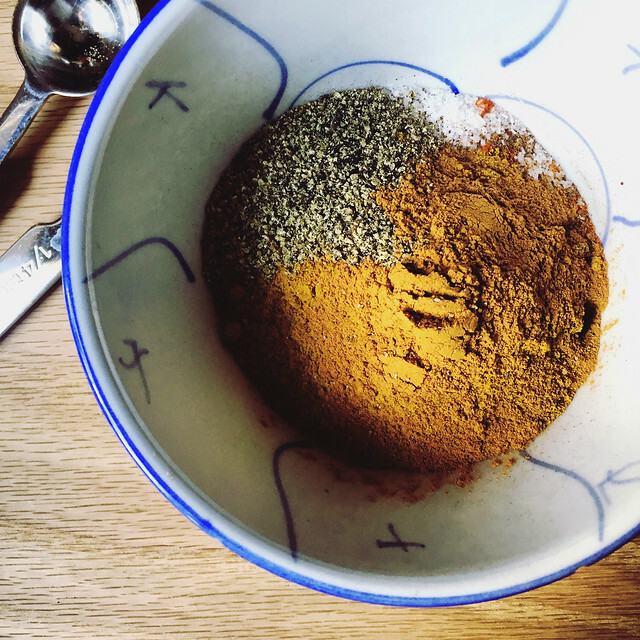 For the jerk spice, mix the following in a bowl. Store in an airtight container for up to 2 weeks. The recipe makes more than enough for the nuts, but other recipes in the book use this spice so it’s good to have handy. This is way more labor intensive than the nuts, but completely worth the extra effort. 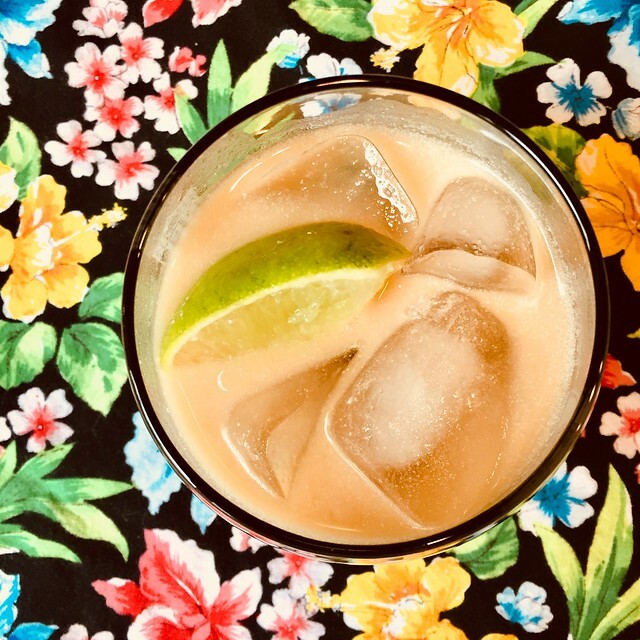 I made the Tepache and Horchata two days before the party. My kitchen smelled like a tropical paradise. For one cocktail, mix the following in a shaker with ice, strain, and serve in a glass over ice. For the Tepache, mix the following in a medium sauce pan, bring to boil and cook for 5 minutes, lower heat and simmer for 5 more minutes. Let it cool and then strain. Will last 5 days in the fridge and makes about 1 cup. For the Horchata, mix the following in a large sauce pan, bring to a boil and cook for 10 minutes, lower heat and simmer for 5 more minutes. Let it cool and then strain. Will last 3 days in the fridge and makes about 1 cup. Below left, Tepache. 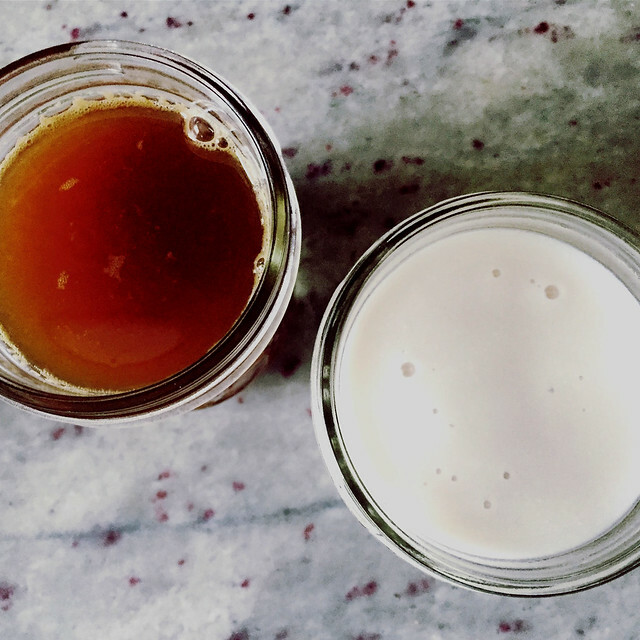 Below right, Horchata. So delicious. Next, our group will be making recipes from the book Plenty.